Author and paranormal lecturer Bill Bean discussed demonic possession as well as shared his amazing story of how small noises in his home lead to a tormenting and disturbing presence of evil, and how his family was torn apart by the demonic forces that were at work there (view related photos). "I feel, strongly, that portals and doorways are being opened up on our planet right now, and it is allowing more and more demonic forces to come on the Earth," Bean said, noting how his case load has doubled over the last few years. He shared one of his early encounters with an evil that took hold of a young woman. She spoke in other languages in a deep masculine voice, had black eyes, and levitated, Bean recalled. It took nine police and EMTs to restrain her, he added. According to Bean, the same dark-hooded figure he dealt with as a child was in the possessed woman's house. Bean recalled the destruction wrought upon his family by demonic forces in the 1970s, and shared how the nightmare experience prepared him for his current work. "God brought a transformation into my life and that began at the age of thirteen when I finally stood up to those things," he said. Bean explained how he can instantly determine if someone is under demonic oppression or attachment simply by being in their presence. He suggested traumatic events (and evoking with Ouija boards) can open a doorway for demonic forces to enter a person, and credited the power of God working through him for why he is able to bring comfort to demonically-afflicted people. Open Lines followed in the latter half of the program. Martha in Santa Cruz, California, told George she has been a deliverance minister (exorcist) for the last 37 years. "The Church has been through such a rough ride with this because people refuse to accept the fact that a Christian can have a demon," she said. Martha explained her theory of demonic possession as it relates to the human brain. "It lodges in the brain, it's an electrical thing that Satan does," she revealed. Joe from Upstate New York recounted similarities between his and Bill Bean's childhood, noting how his house was also possessed. He recalled speaking with an entity at three years old. "I started seeing different demons... that really unsettled at a young age," he said. Javier in Porterville, California described experiencing abductions and paranormal phenomena, including rain in his room and balls of light, when he was four or five years old. He claimed to have asked aliens for a piece of their craft, which was immediately retrieved by Men in Black. Shadow People, The Hat Man | Who Are they? They seem to be everywhere these days. Much more than the limited sightings of 10 years ago. The Shadow People (also known as shadow men, shadow folk, or shadow beings) are said to be shadow like creatures of supernatural origin that appear as dark forms in the peripheries of people's vision and disintegrate, or move between walls, when noticed. Reports of shadow people are similar to ghost sightings, but differ in that shadow people are not reported as having human features, wearing modern/period clothing, or attempting to communicate. Witnesses also do not report the same feelings of being in the presence of something that 'was once human'. Some individuals have described being menaced, chased, or attacked by shadow people. There have also been reports of shadow people appearing in front of witnesses or lingering for several seconds before disappearing. Witnesses report that encounters are typically accompanied by a feeling of dread. I dreamed about two shadow men. They came through the large front window after my sister's dog suddenly started barking at the window with me holding her back sitting on the floor. I mean they literally came through the glass into the living room. It's like a shadow but with a fuzzed outline but it's coming right at you. For some reason i knew it was male and knew it was smiling at me (even though it was pitch black where it's face was) while it leaned in only a few inches away from my face. The second one seemed more subdued but i still got that same feeling of dread. And originally when i woke up i didn't even remember the dream(but now i do obviously) but had that same feeling of dread like someone was watching me or walking up behind me. It really threw me because i was so sure there was someone there. I could feel it i guess you could say. When i figured out they could only say boo and not actually hurt me i'd force myself to chuckle anytime it happened again and after about a week they seemed to stop trying to intimidate me. Then by the second week they disappeared. Though on occasion (sporadically every few weeks or months)i'll be woken up at night feeling like the more intimidating one has it's face right next to mine which provokes a chill no matter how much i try to laugh it off. Did i mention that it would feel like someone was tickling/touching my feet and toes when i tried to fall asleep during thoughs two weeks even when my feet were snuggly under the covers? Your story interests me greatly. I have not had much contact with Shadow People and am very interested in the subject. I have a question for you. You start by saying "I dreamed about two shadow men." Was this a dream or did you actually encounter them? I saw the hat man. This is not a lie or fabrication.I really saw this. as a child I was laying in the lower bunk of a bed i shared with my younger brother. i was about seven years old. I was looking across my room toward a foyer where the entrance to the New york apartment was located.Just beyond and down the hall was my parent's room.across the entrance door which had all sorts of security devices including a dead bolt various key lokcs ,a chain, and even a steel rod that slid into a socket in the floor, was the kitchen area. i sat there one night staring in front of the entrance,which was lit very brightly by a small night light. I stared at some tiny mice that jumped around a small bag of garbage next to the kitchen entrance or threshold. Suddenly, it appeared. It was not a man, but some kind of entity. i mean it was totally black like a two-dimensional figure, but it did have the outline of a man wearing a derby. it carried a briefcase and a cane. it simply traversed the metal door and stood there for a moment, in plain sight. it was so black that it literally 'popped-out." Then it looked around both ways.I was frozen with absolute fear. Then it walked into the kitchen and that was all. I have been traumatized ever since. There is something going on that no one knows about. Some claim to know, but i think they are lying. What is really remarkable is that many years went by then one day i decided to google images and i typed "hat" and "man." I could not believe that others had witnessed similar things. I even saw a picture of it on the net. Whatever it is, it is indeed a phenomenon. My intuition tells me that these beings are slaves of some sort, and that they work for an evil source. i also had another experience , but with an invisible one. This other experience has led me to believe that there are some beings out there that do not have our best interest at heart. This particular one laughed at me with a very arrogant , diabolical, and condescending manner. It literally held me in a state of fear, and it seemed to feed of this fear. it had the ability to move in my dimension as an invisible force. So as you can imagine, execpt for my feeble faith in God, i am perpetually afraid. Might anyone know any reason why these shadow people be interested in certain people? A way to communicate? What makes their eyes red? I must warn you not to engage these creatures unless you know what you are doing. They are energy hungry creatures that lure you in by making you curious about them. Once this happens you lower your shield and they can begin to drain your 'spiritual energy'. Most cases the feeling of dread is actually the bite mark they leave behind. These creatures are not random they are in fact a form of familiar and are very dangerous. My group has been tracking them and researching their movements for a few years now and all we can say is the increase is due to a change in tactics. They are stepping up their play and we don't know why, but even basic exorcism does not work on them. So please, if you see one, don't follow it, do what any curious human who is spiritual would not do, and ignore them. It is in your best interest. Replying to the interest comment above, they are familiars. If they have interest in someone, it is because they have been marked as important to them. Either because that person may have a form of power from God that they fear, or want to use. Otherwise it is just them feeding off random energy. OMG...I have always "seen" and "known" things others didn't. Today I saw another shadow. I was coming in from outside and clearly saw my shadow on the wall and next to it a larger manly shadow. I thought some guy was behind me, so I quickly turned back to the door and no one was there. But I saw a reflection of a dark figure in the glass pane of the door. I turned back to the wall and the shadow man walked up my stairs. My dogs were freaked out also. I have seen many times a dark shadowy man since I was a child and it has red glowing eyes. There is an overall feeling of evil and sadness. Since my husband freaked out when he saw it hovering over our bed one night, he hung crosses all over the house and we had gone months without incident. No idea why back now. It doesn't seem to matter where I live, he follows. I once saw him in a dream and he gave me a name, which I will not repeat. I looked it up online and it was a demon's name. I was shocked! I figured just a crazy dream! But here it was, it was a demon's name. I spoke to a priest and he said it was following me for some reason, perhaps because it knew I was able to feel and see him, and waiting for me to put my guard down. I pray often and have built up strength, but now I am wondering how to rid of this as exorcism only works on a human who is possesed. Anyone with advice or ideas, I appreciate it. It is nice to know someone out there doesn't think this is crazy! I am trying to figure out what to think of my experiences. I don't know what it is that I really saw but... I will say that I have endured sleep paralysis, where he would appear, a shadow that when I first recall experiencing... felt like an old friend that I haven't seen in such a long time... The second experience became very violent... and the feeling of him being there became much more frightful and aggressive. Could feel him around, daytime but mostly night. I would imagine it all in my head but I've had him interfere with someone else in my life, even if they don't remember it... I would like to think I'm over reacting and its all just part of some sleep paralysis hallucination but during one sleep paralysis encounter I willed myself to move... I didn't think that you were suppose in that state... I had to force myself into a wall to snap out of said state... Or for that matter have it follow you into the waking routine of life... I haven't seen him around lately but I can't seem to let this experience be forgotten... I'm at a loss of what to think, if anyone can help I would really appreciate it. Or If I'm really loosing it that would be of use to know too. how can i help someone who see's the hooded figure? I was attacked by several dozen of them last night. I believe they are making a play to destroy our world before we achieve the true space age. I believe they are behind many of the bad things happenning in the world. I am pretty sure they attacked me because I was in a horrid mood yesterday and so was weak and exposed. It was the first time they have ever been able to reach out and touch me. It felt like being frozen. If anyone has any advice on how to stand up to them, now would be a useful time to post it... I am told that once they latch on, attempts to expel them will cause them to seek out friends, neighbors, and loved ones nearby. I want to banish them from my existance immediately and permanently. I firmly believe in the Light and I know that Light always overcomes darkness. If they come back I will face them (wow, I sound like a nutjob...) Any advice? The best I have found is to pray to Christ for forgiveness and the strength to do good. Yes... During my highschool years around year 2001 I first encountered "Shadow Man" this was the name I spontaneously gave it. It was strange to say that the entity was "real", but as time has passed since that first encounter, his appearances have continued and my brother has vouched for my accounts, having many of his own. Yep, when I was 10 my brother's friend warned me not to go into the golf course we lived by at night because of the shadow people. When I was 14 I saw them (I had forgotten all about the warning so I definitely wasn't trying to find them and I have always been a very skeptical person) and a few years later a friend saw them. Mine did a weird thing where they flashed on and off and with every flash on they were a step closer. After about a set of 10 flashes it would multiply. I ran after it got to 3 creepy figures :/ No red eyes though. -Seen in Honoka'a golf course, Big Island of Hawaii. * Which includes: Angels, Aliens, Holy Encounters, Ghosts, Faith, UFOs, Heaven and Hell, Shadow People, Bigfoot, Hat Man and everything else you can think of! Darkness and evil follows this man and for all who see him! Heidi Hollis was the first to discover this horror and named it "The Hat Man." Her new book, The Hat Man: The True Story of Evil Encounters, is NOW out! PAPERBACK BOOKS WERE RELEASED July 27th, 2014, AND THE EBOOK MAY 12TH, 2014. LEARN WHO IS BEHIND "SLENDER MAN" IN THE REAL WORLD!!! **Please note: Please allow for up to 2-3 weeks for the first shipment of books to be sent from the publisher to be signed by the author and shipped again, to you directly. “Have you seen this man?” It was a simple image and question posted online that sparked a worldwide awareness that—HE IS REAL! From the author who discovered him and told you about The Shadow People—now learn of the new THREAT! Victims worldwide have reported seeing this man peering into their homes, their bedrooms, their cribs, their cars, their lives and even—into their souls! It starts with the feeling of not being alone, only to look to the foot of your bed and find that you are right. There’s a stranger in your room and you know that you see him, worst of all, you know that he sees you, too! You try to scream or run, only to find that you are paralyzed! Terror then reaches new levels as he approaches you, leans within inches of your face and lets you know that he is indeed—your worst nightmare! This is the true story of the beginning of unthinkable horror that you have never heard of before! Not many authors can say that they named two paranormal phenomena like Heidi Hollis! With this original story and almost 50 encounters detailed, you’ll soon find that darkness can hide, but the light always wins! The above image is compliments of Z. S.
It's taken some time for me to finally address a clearer picture of what the thing I've coined to be called "The Hat Man" and what he's about. Each time I took a step towards even researching this topic, people close to me would start having odd dreams or even a severe streak of bad luck. I was also in the process of writing about more positive experiences like holy encounters with Jesus and angels, so to take a look into something less than positive just didn't seem right to do for some time. I don't think it's ever a good idea to deflect from the positive, but in order to see the light better, sometimes one needs to understand why the dark can be so dominating at times. So, who is the Hat Man? Well, you can read the first encounters with him in my new book coming out soon called The Hat Man: True Unholy Encounters. He came at a time when the Shadow People had made themselves known to me. I admit that this occurrence sounded quite a bit different from the Shadow People. But in knowing that the Shadows could take on various forms, even influencing people, including taking on the form of what’s called the Men In Black, I was nearly certain he was merely one of the Shadows. Apparently, I had the right idea, but not fully. 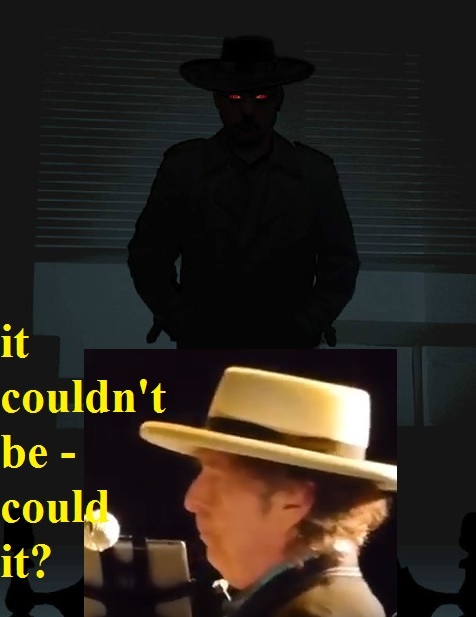 Seems this Hat Man is indeed related to the "dark side" as the Shadow People are, where even they have similar agendas. Shadow People like to choke, scare, absorb fear and cause it. This Hat Man can do and will do these same things, but is mostly known for and seen as an observer who appears and may often simply just leave. Sometimes the timing is significant, while other times it can leave you scratching your head about why he came at all. If there is anything of importance I'd like to say about a person seeing this Hat Man is that it is a worldwide phenomenon. Him showing up doesn't necessarily mean you are about to die or someone close to you will. There's so much more to be said about this Hat Man, and I am and will. My book will be out about him very soon, end of 2012. So for now, please feel free to write me with your story and concerns and I will do my best to get back to you via email or on my radio show, Heidi Hollis-The Outlander. Please know that I will not use your last name, and please let me know if you don't want your story aired or used otherwise. Yes it's true, this is a name that I personally gave him: HAT MAN. Once I spoke of this entity on the popular program Coast to Coast AM, the name spread across the globe. Pretty wild to think that a name you'd given something actually is now known as that. The case is also the same for the term "Shadow People." As many now know, I wrote The Secret War book based on Shadow People before anyone had ever mentioned that name. What The Hat Man Looks Like and Does The Hat Man’s gear consists of what can be described as him wearing a long-black trench coat, three-piece suit, white collared shirt, and a flat rimmed gaucho hat. Some have even reported seeing a gold watch hanging on his side on a chain or him wearing a top hat. Some people describe seeing red eyes, others see solid black eyes if they see any eyes at all under the shadow of his hat. He's described as being pale, tall, thin and may or may not have a noticeable goatee and thin moustache. He may grin, tip his hat, or stare undeniably at a person at length or briefly. He appears in most any location, but most commonly is reported in people's bedrooms as they sleep at night. A feeling comes over the person where they wake up to find him watching them nearby. I'm a firm believer that people's guts tell them what's going on around them, especially when it comes to the paranormal. So please, do your best to describe all you can in regard to what you felt from this Hat Man if you choose to write me with your story to share or for advice. 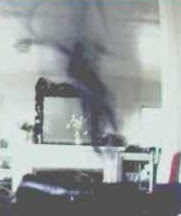 A shadow person (also known as a shadow figure, shadow being or black mass) is the perception of a patch of shadow as a living, humanoid figure, particularly as interpreted by believers in the paranormal or supernatural as the presence of a spirit or other entity. Search for: Who are the shadow people? The Rake is the name of a creature with very little information about it. It is described by original reports as a "naked man, or large hairless dog of some sort," with a body position that seemed "unnatural, as if it had been hit by a car or something." Search for: What is the rake?